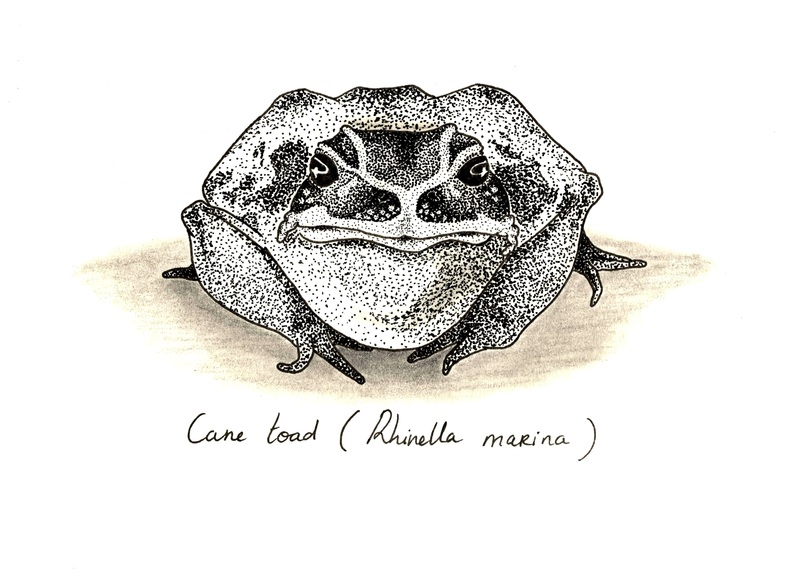 The cane toad (Rhinella marina), also known as the giant neotropical toad or marine toad is actually a large terrestrial true toad native of central and South America. It was introduced in Australia in 1935 for pest control purposes of the cane beetle but is now considered a pest itself and there is particular concern for its venom. This toad has poisonous glands behind its eyes and across its back. When the toad is threatened, its glands secrete a milky-white fluid known as bufotoxin - even the tadpoles are highly toxic to most animals. When ingested the toxic skin can kill many animals, including humans. One of the components of the bufotoxin is used as a hallucinogenic drug in Australia and is classified as a class-1 drug under Australian law – alongside heroin and cannabis. It has similar effects to those of mild poisoning, which include hallucinations that last for at least 1h. However, those are not the effects that medical drugs are after and maybe the more useful on is its effect on cancerous cells. Researchers have found that the cane toad poison has anti-cancer properties. The poison kills cancerous cells specifically while sparing the healthy cells and although it doesn’t eradicate tumours, it does however slow the disease progression in some patients. A Chinese medicine, Huachansu, derived from dried venom of toads has tolerable toxicity levels and slows the progression of liver, lung, colon and pancreatic cancers.